The LRC also has a separate Graphic Novel & Picture Book collection in the Reading Area. Our Sound Book (SB) collection can be found within the Fiction section. 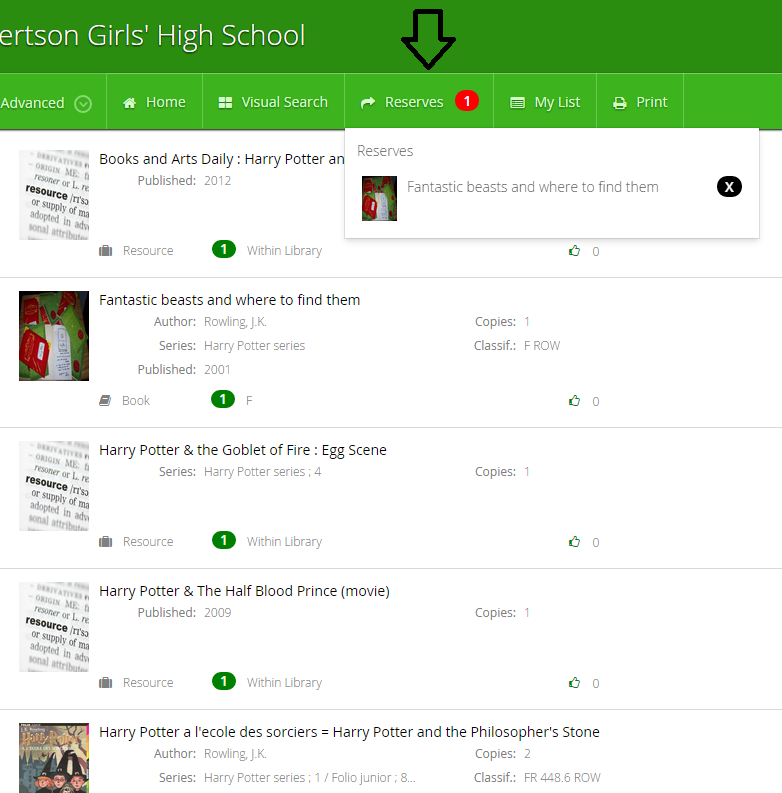 Search for the book you wish to reserve in the search box. Filter your search results in the left side panel. 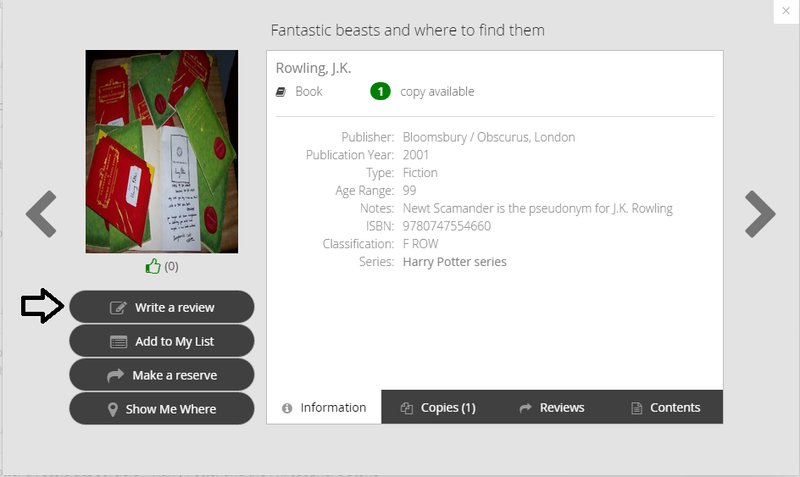 To reserve the books that you have chosen: drag and drop the image of the book into the 'reserve' tab along the top of the screen. You can also check your reserves in this menu area. You will need to login using your student number. If you do not have a PIN, leave this blank. OR you can click on the book to open up an information window, and select 'make a reserve' on the left side panel. Make sure to LOGOUT when you are done reserving or using the catalogue! You will receive an email when your book is available for you to borrow from the library. Come ask at the desk. Search for the book you wish to review. From the results list, click on the book you are trying to review. This will open its information in another box. In this window, click the ‘write a review' button on the left side panel. Now you can write your book review and click ‘submit’. Others can read your review in this same window under the reviews tab along the bottom. Make sure to LOGOUT when you are done reviewing or using the catalogue! Did you know about the Advanced Search option in the Catalogue? 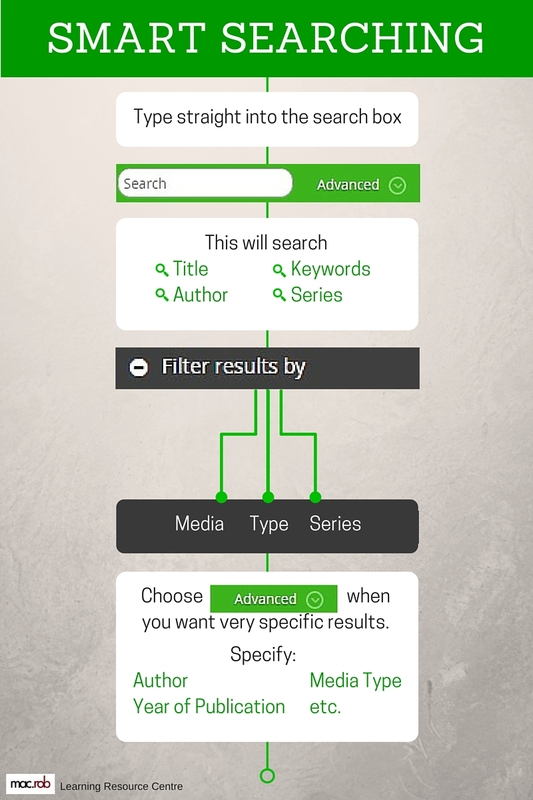 When you need to search across different fields, such as; author AND title, series AND subject and so on – you can use the Advanced Search to get these results! 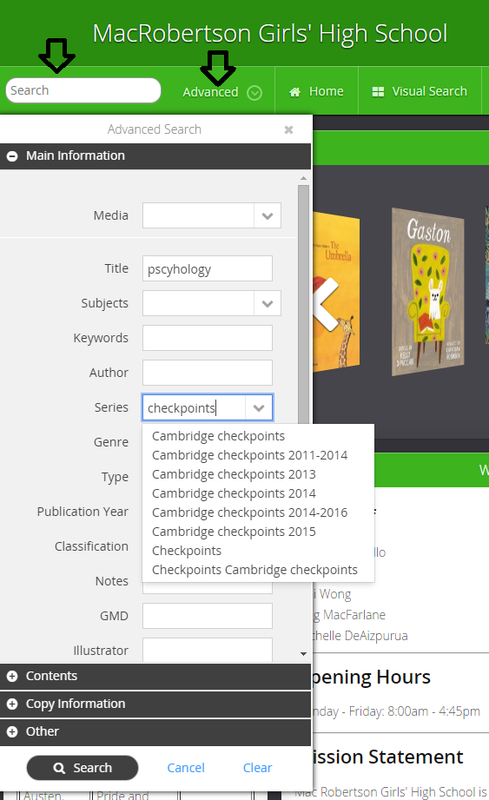 Now you will only get these specific items listed and not every checkpoints book we have in the LRC! Note: If you put ‘#’ at the start of your word, it will search for ‘NOT’ that word (e.g. typing ‘#Psychology’ would have found all the checkpoints in the LRC except the psychology ones). First login with your student number in the top right of the screen where it says 'Guest'. If you do not have a PIN just leave this blank. Now you can click the little person image next to your name. You can even add interests: then you'll get an alert when new books come in that match your interests! 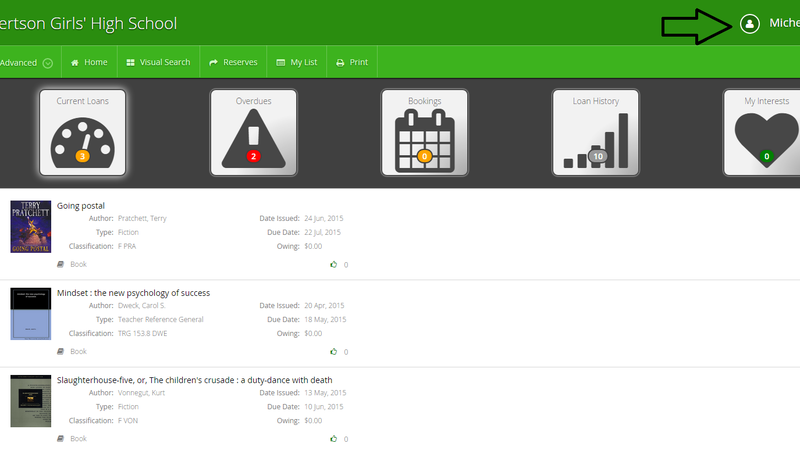 You can also view your borrowing details: here you can see your current loans, overdues, history and more. Make sure to LOGOUT when you are done using the catalogue!